Where Hereditary succeeds is that it steps away from how most contemporary horror is presented – jump scares, heavy gore and manipulative music scores/sound design – and allowing the fear to rise from what is in the mind as well as what is on screen. 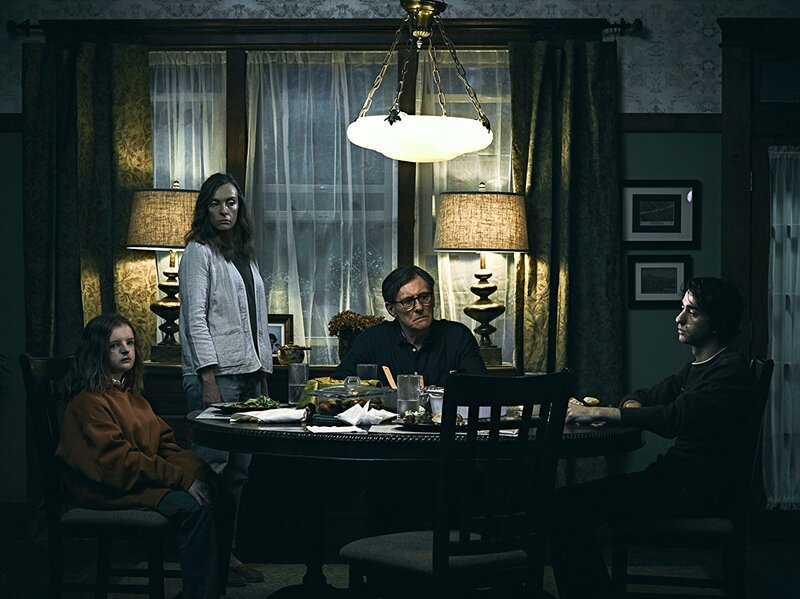 Despite its ultimate supernatural under-pinnings, Hereditary is initially told as a somewhat down-to-earth story of a family beset by mental illness. Annie (Toni Collette) has just lost her mother Leigh and the rest of the family – husband Steve (Gabriel Byrne), son Peter (Alex Wolff) and daughter Charlie (Milly Shapiro) – have to deal with the consequences of Leigh’s passing. But not in the way that one would conventionally expect. The tragedy of Charlie’s subsequent horrific death drives Annie deeper into the throes of mental disturbance even as a new acquaintance – Joanie (Ann Dowd) – enters her life to introduce her to the possibility of communicating with her deceased daughter. At this point, most of the audience might expect the movie to head down the conventional road of ghost encounters but instead the movie becomes something totally different. And the terror becomes even more intense in the third act as Annie discovers the awful truth of her mother – she was in fact the leader of a satanic cult and the cult is aiding the demonic entity Paimon to possess her grandson Peter! This surprising twist is actually telegraphed numerous times through the first two-thirds of the film and it does an amazing job in masking the true narrative till almost the very end. Certainly, if this particular horror trope had been revealed from the start, the suspension of disbelief might have been severely under threat but the manner in which Aster keeps the audience in genuine suspense most of the movie, is sheer genius! Aster is aided and abetted by superb performances from Collette, Shapiro and Wolf, with Collette delivering yet another Oscar-worthy effort. 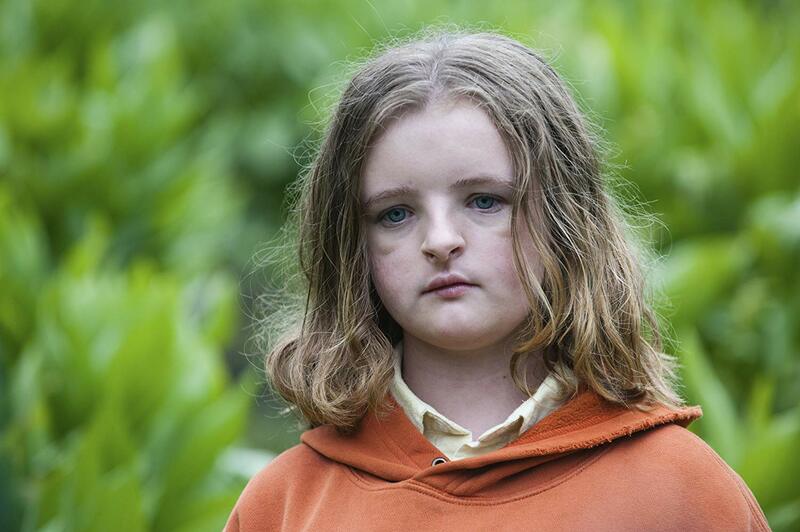 There is so much to unpack about Hereditary that there is much value in repeat viewings. I would highly recommend said course of action. Previous Previous post: PoP RECOMMENDS | POWER POP ROCK N ROLL : ADDISON LOVE – THOUGHTS ON LUNCH?